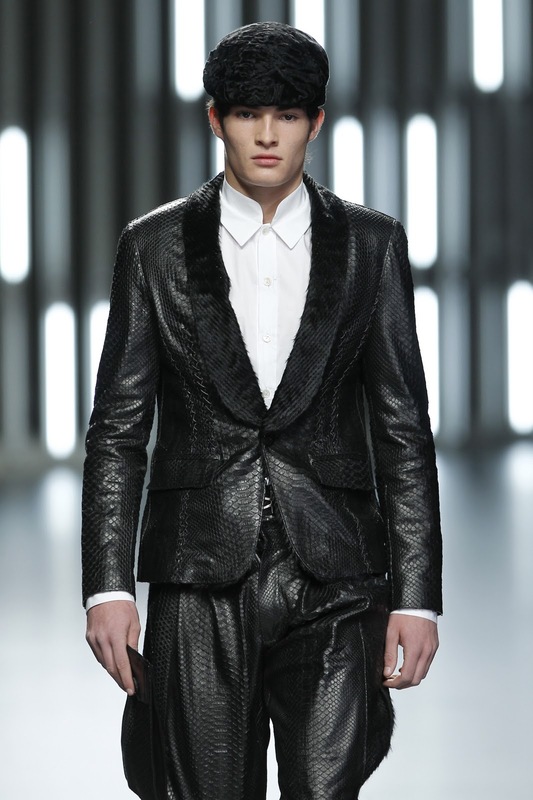 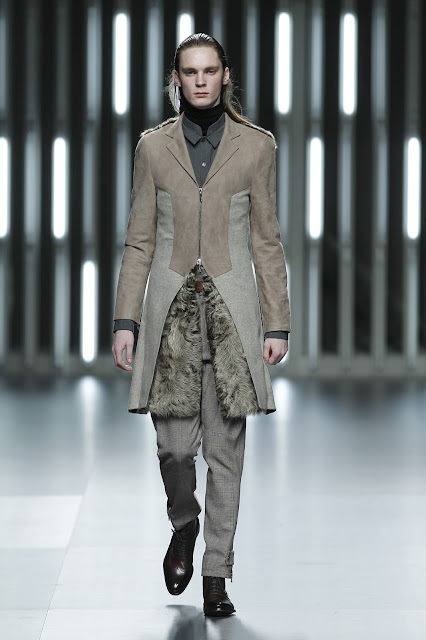 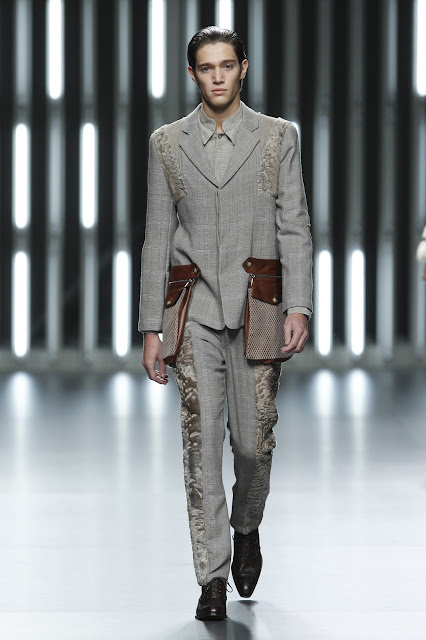 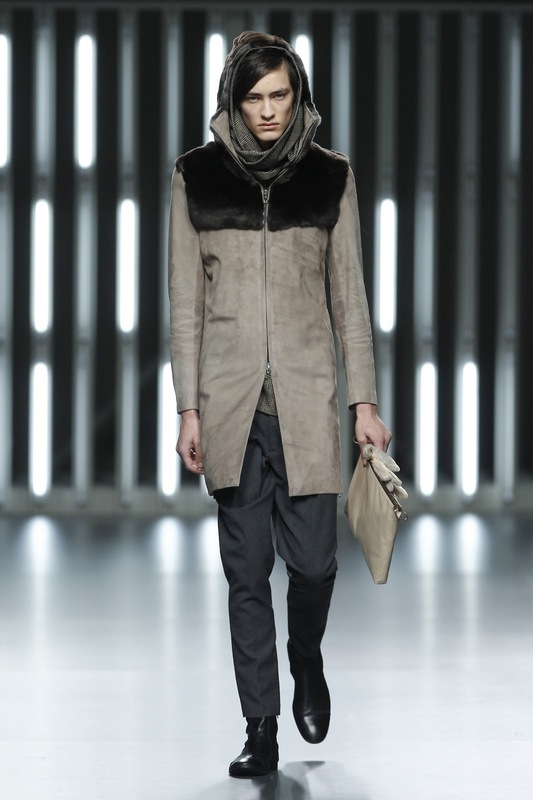 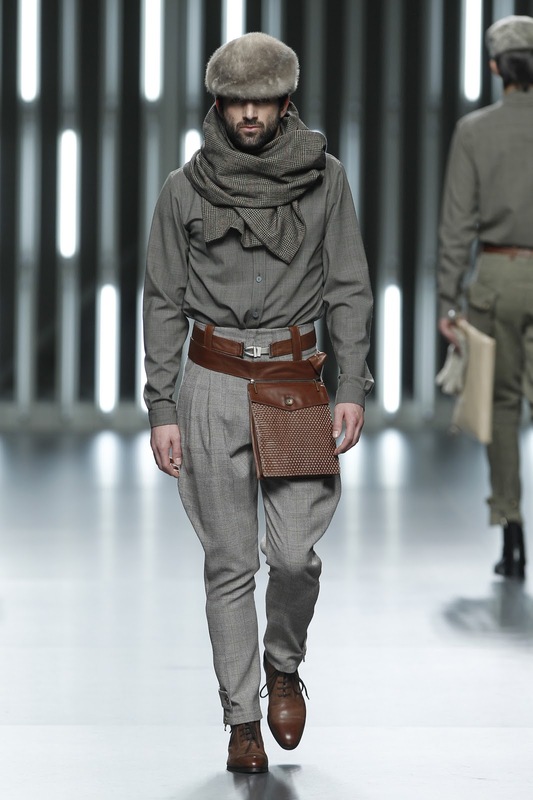 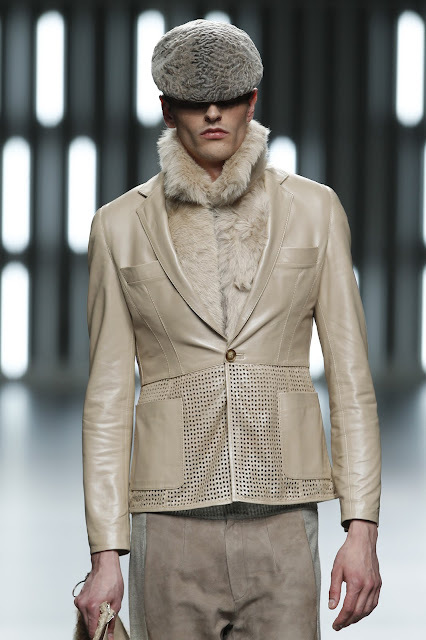 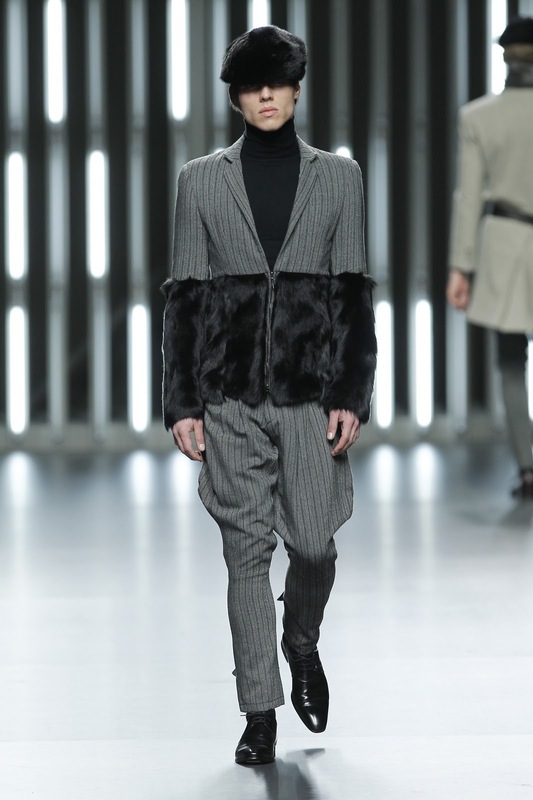 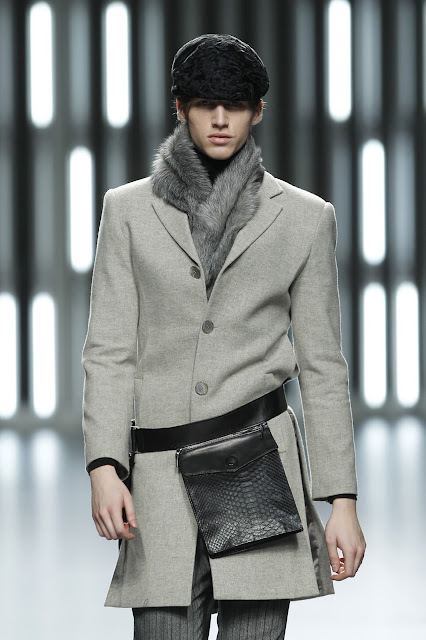 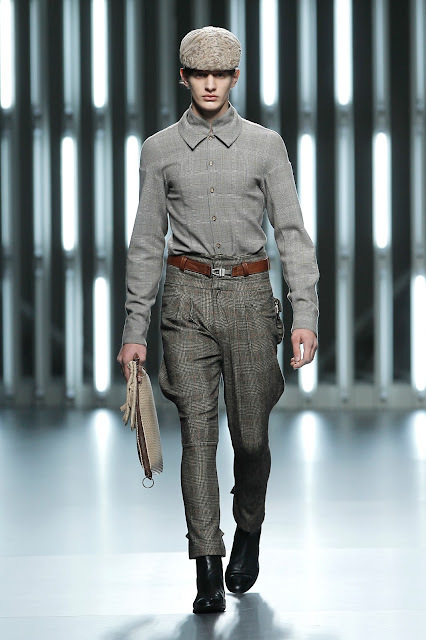 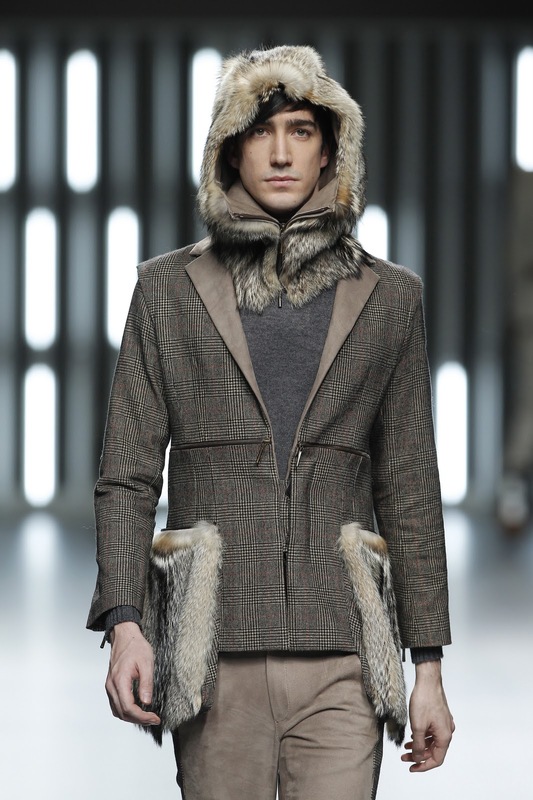 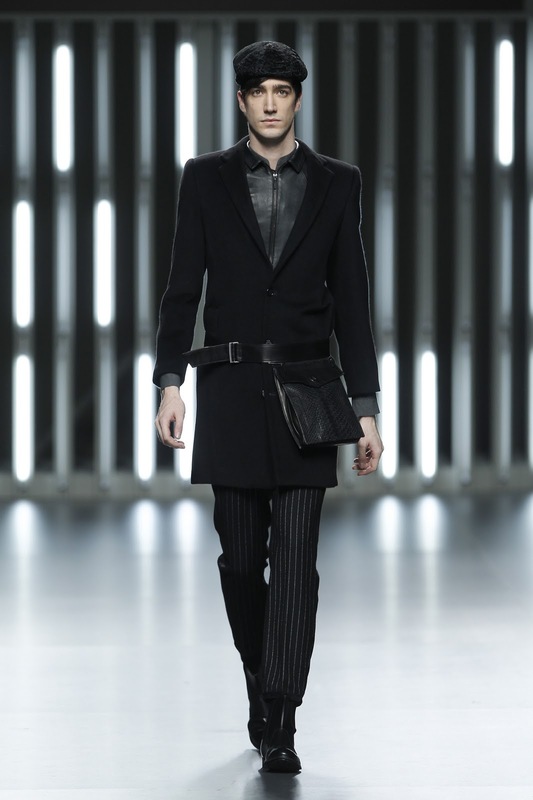 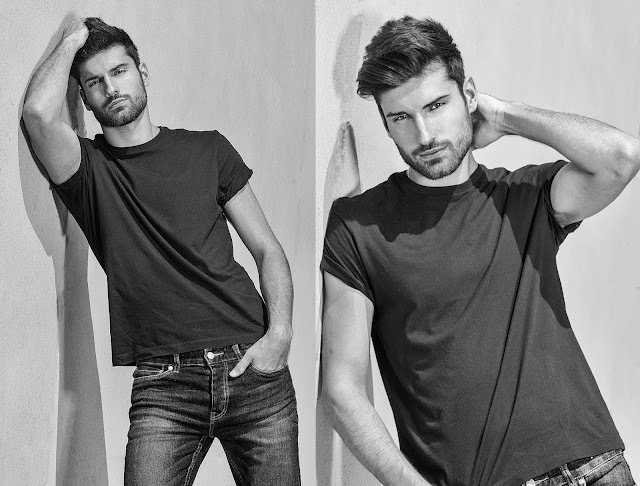 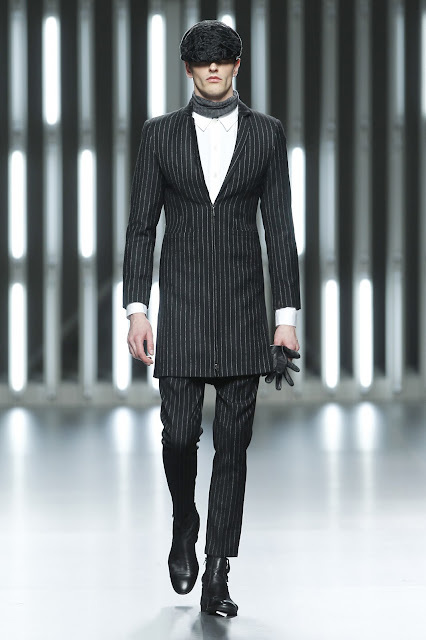 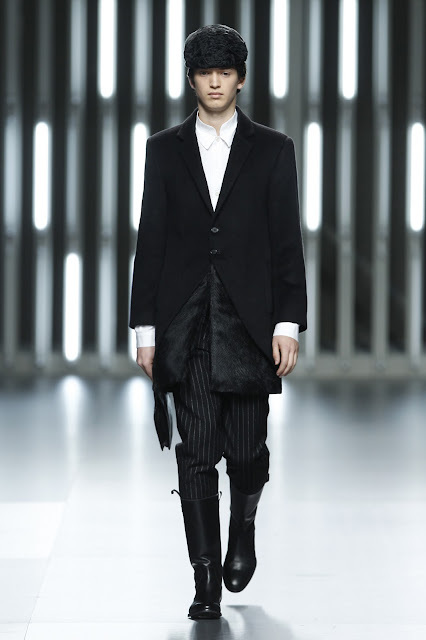 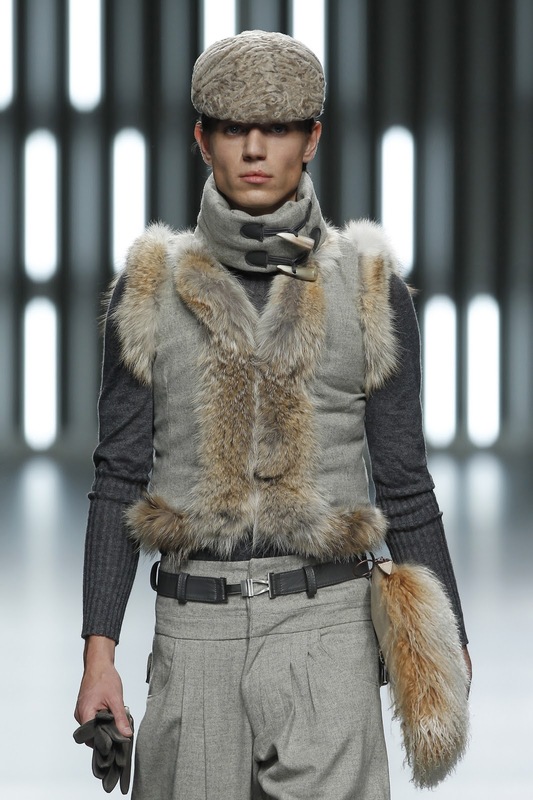 The Spanish label showed a very bold and luxurious fall/winter 2011/2012 menswear collection. 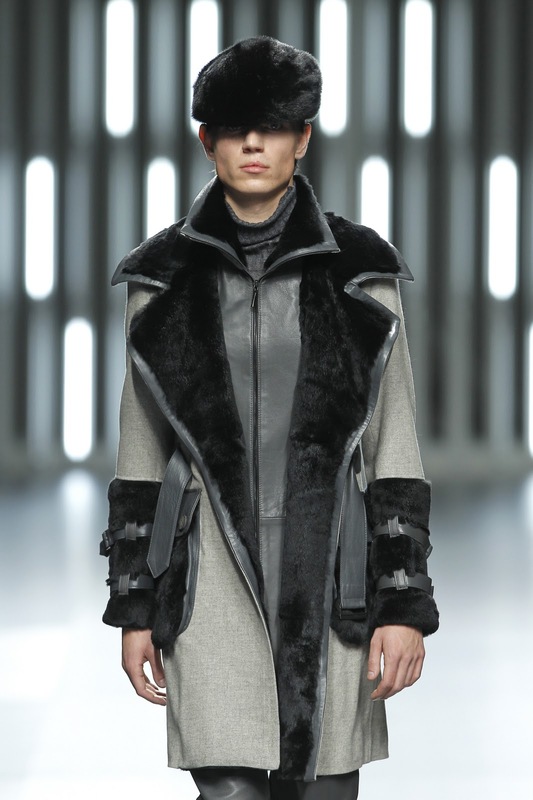 Although the colour palettes are mostly in grays, there are a lot of furs and buttery leathers that scream luxury and will enraged PETA members. 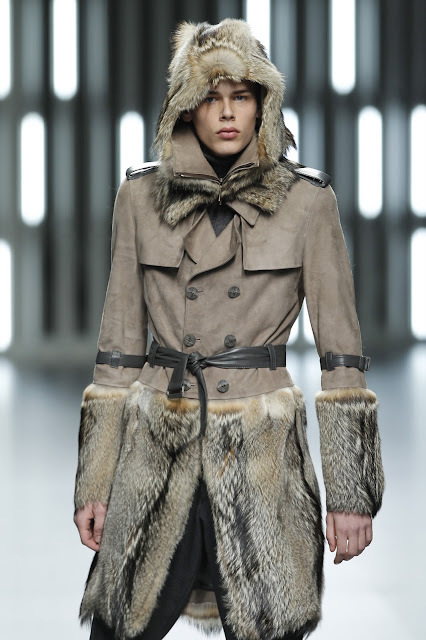 Furs and leathers were either used as detailed trims or a full on fur coats or leather suit. 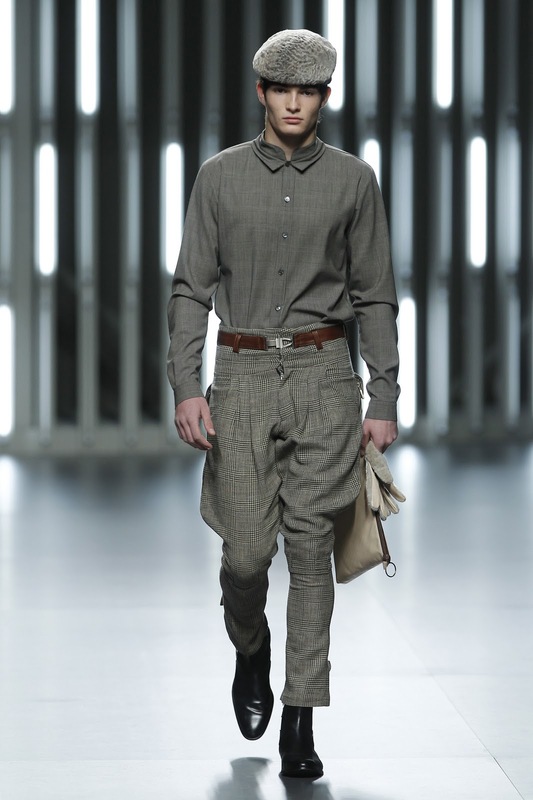 Pants are mostly cut in jodhpurs style. 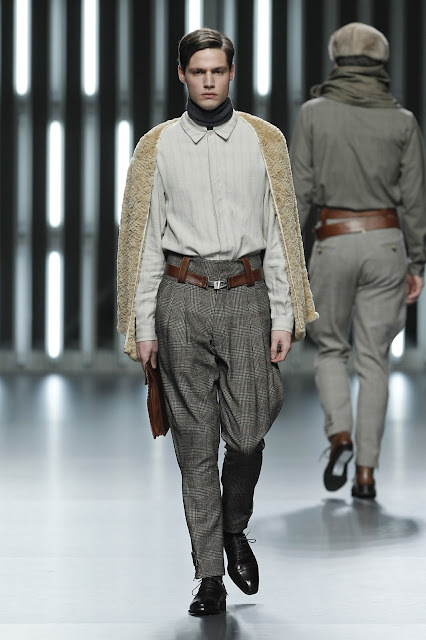 This collection is not for shy and timid pedestrians.